Whether you’re on holiday for adventure or to relax, the Caribbean has something to offer everyone. Classic sports such as Diving and Snorkeling are firm favourites amongst tourists, but the Caribbean has so much more to offer than that. But what, and where? We’ve put together a list of unusual sports to do in the Caribbean – so get ready for the adrenaline rush! Generally a sport associated with places like Australia and Hawaii, the Caribbean is actually one of the best places in the world to go surfing. The glittering Caribbean ocean provides some of the best breaks, with professional surfers visiting every year to catch some killer waves. If you’re a well-seasoned surfer then you’ll be able to jump right in and enjoy the warm Caribbean Sea, but for those of you less experienced there are Surf Camps which offer beginner lessons. If diving underwater is too tame for you, try diving out of a plane instead! Not for the fainthearted, Skydiving in the Caribbean is truly a once in a lifetime opportunity. If you think the landscape is stunning on land, wait until you see it from 30,000 feet. There are plenty of dropzones in the Caribbean, such as the one in Antigua, which offer a highly professional and organised service. Don’t worry if you’ve never skydived before, you’ll be doing a tandem jump (meaning you’ll be attached to an experienced Skydiver!). With so much delicious food to eat in the Caribbean, you’ll need a way to burn off all those extra calories! 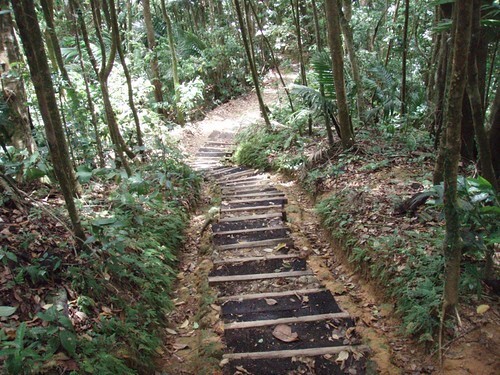 And what better way to do that than by hiking through the lush Caribbean landscapes? Whilst this sport is best enjoyed by those who have a high fitness level, there are some beautiful treks to be enjoyed all over the Caribbean. Dominica has recently opened the Waitukubuli Nationl Trail, which journeys deep through the rainforest, making for an unforgettable and brilliant experience. Journey to Jamaica and feed your need for speed on a zip line! Those of you who are adrenaline junkies will love zipping through the tropical forests, experiencing the island’s beauty in a completely novel and unique way. The Canopy Tour in Jamaica will see your soaring 45 feet above the ground, whilst you’re overlooked by professional and certified guides. You will also be able to journey across one of the 9 traverses there, and embark upon one of the nature walks. Want to explore the Caribbean’s underwater paradise without getting wet? Then hop aboard a submarine and submerge yourself in the exotic ocean. In Aruba, you will be able to book a 45 minute long submarine tour, which is ideal for those of you who don’t swim and families too. Specially designed for sightseeing, you will be able to observe the various colourful fish and coral, and even spy a sunken wreck or two! To experience the great variety of sports the Caribbean has to offer visit Blue Waters Caribbean Hotel.